IBM has announced its intentions to explore business opportunities in China outside of its core technologies. IBM is planning to provide systems to the country that will improve China’s data collection, monitoring and forecasting capabilities. One option the company is exploring is using advanced weather forecasting and cloud computing technologies to monitor and come up with solutions for the persistent smog in the city of Beijing. More than three decades of growth has resulted in pollution that has caused significant damage to the sky, rivers and soil across China. The pollution in the Chinese capital city has caused a series of scares and scandals and China’s central government continues to deal with the fallout from the unhealthy air. The residents of Beijing claim that their only options are to put on masks or stay indoors. Currently, there are 35 monitoring stations located around the city of Beijing. These monitoring systems are connected to an alert system that the city can use to determine whether the air in the city is unsafe to breathe. If the pollution levels are determined to be too high, the authorities will close schools and factories and restrict travel for its citizens. Once the necessary information has been collected by the new systems being put into place, work can begin on finding ways to reduce the amount of smog and pollution that the people are exposed to. The deal between IBM and Beijing’s city government is part of the company’s 10-year Green Horizon initiative. The initiative uses IBM’s ability to collect real-time emissions data to predict when and where the smog and pollution will be at its highest levels. These predictions can be used to help cities across China improve their pollution levels and take more effective actions against the issue. 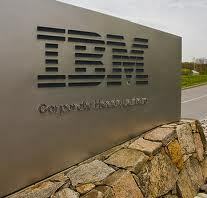 IBM is also exploring using its cloud-based analytic systems to make better use of renewable energy. The State Grid Corporation in northern Hebei Province is using a supply-and-demand management system from IBM at the Zhangbei wind and solar power demonstration project to reduce the amount of power wasted by the project by 10 percent. IBM is hoping that new commercial opportunities in pollution control and renewable energy will be generated by their Green Horizon initiative in the future.